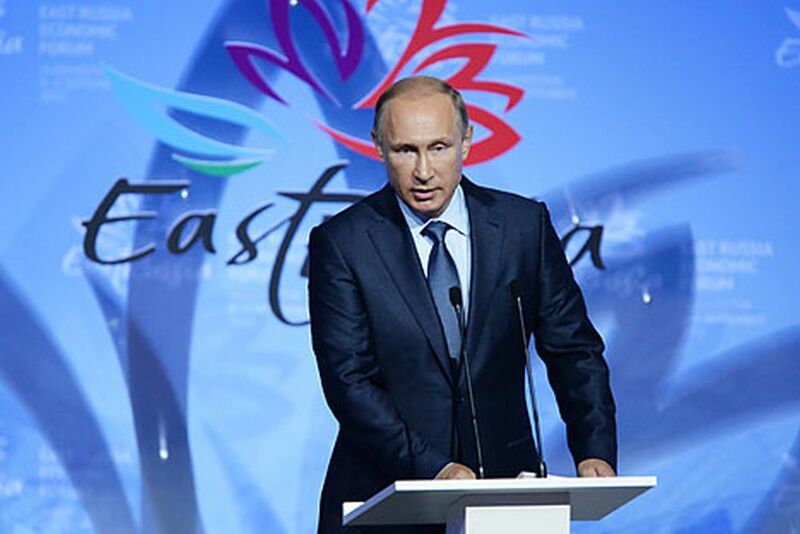 Vladimir Putin sees the Asia-Pacific as the new powerhouse of economic activity. Vladimir Putin calls for greater economic ties with Japan and South Korea. Russia attaches great importance to developing relations with Asia-Pacific region countries, and this cooperation can be mutually beneficial, Russian President Vladimir Putin said at a meeting with students of Gymnasium No.2 in Vladivostok, commenting on their contacts with fellow students from South Korea and other countries. He noted that the Asia-Pacific region is developing very quickly, while no other region in the world has such economic growth rates. “That’s why we, I mean Russia, are paying increasing attention to the Asian vector of our cooperation,” Putin said. He noted the importance of holding the Eastern Economic Forum attended by a great number of participants. He particularly mentioned Japan pointing to the need to hold talks with this country on investing in the Far East region. “We can give our neighbors a lot and can get much from them,” Putin said. He mentioned among large-scale and promising projects in the region the Vostochny Cosmodrome, the construction of the Zvezda shipyard and a giant oceanarium on Russky Island (Vladivostok), which is not merely a place of interest but part of a scientific center. Putin said stopping the outflow of population from Russia's Far East is currently a priority task. The president noted that people should be attracted to the region by means of creating an effective training system for young specialists. “It is a key task in the country today, namely, cessation of depopulation of the Far East region, including the Primorye Territory,” Putin said. Commenting on Vladivostok’s development, Putin noted that the city changed significantly after the Asia-Pacific Economic Cooperation (APEC) summit was held there in 2012. However, despite this, “a lot has to be done to make it even more beautiful than it is today,” he said. The common historical heritage brings Russia and its neighbors closer together, according to Putin. The head of state noted that even extinct ethnic groups leave behind certain cultural heritage, while “we are the inheritors of what happened thousands of years before us. One way or another, the culture of peoples who used to live in certain areas remains,” Putin added. “This also brings us closer to our neighbors, because, as a rule, this is part of our common past. The boundaries of states are changing, people migrate, and this (heritage) is definitely something that unites us,” Putin said.